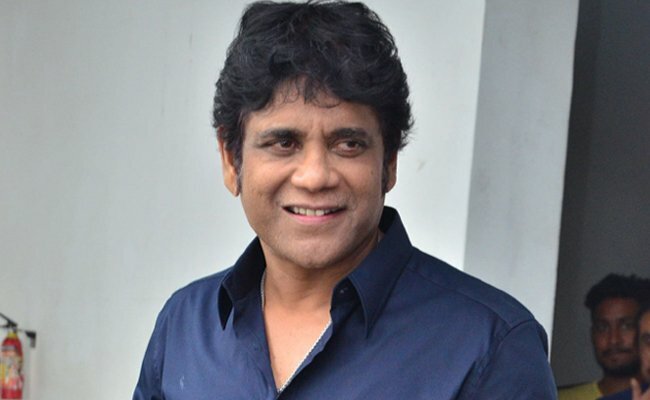 After Venkatesh one of the senior heroes who is showing interest in multi starrer movies is Nagarjuna. His previous multistarrer movies ‘Oopiri’ and ‘Devadas’ has impressed the audience. A few months ago, rumors came out that Nagarjuna signed another multistarrer movie with Kollywood hero Dhanush. The movie was supposed to get released in Telugu, Tamil, and other languages. SJ Surya, Aditi Rao Hydari, Dhanush, Nagarjuna etc were roped in to play vital roles in the movie. But it seems like the movie got postponed. Thenandal Films which was roped in to bankroll this project has been facing some financial issues. The production house wanted to do a 300 crore budget movie ‘Sangamithra’ but the project got shelved because of their budget issues. The same happened with ‘Rudra’ movie as well. As Dhanush can’t look for another producer and kickstart the project he has temporarily kept the project on hold. We have to wait and see when the shooting of this project is going to go on sets. Nag who haven’t appeared in Kollywood movies lately wanted to make a comeback with this film. But it seems like his dreams fell apart.